Maggie Hope and the Maggie Hope series are such favorites of mine that I always fear I won’t do the books justice in my reviews. Each book is an amazing read, and the latest, The Queen’s Accomplice, may be the best of them yet. I not only love the Maggie Hope stories, I learn so much from them, especially about women’s roles in WWII. I have moment after moment of discovery that continues to gobsmack me with the bravery of women answering the call to duty for their country. In these books, the setting is Great Britain, so it is the British history that readers learn most, but as an Anglophile, I find that fascinating. And, let us not forget that Maggie is an American who decided to stay in England and do her part for the greater good of what is right that transcends country loyalty. 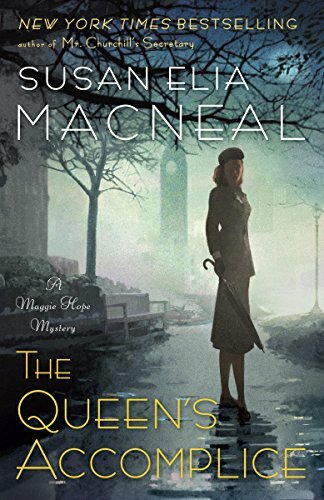 The Queen’s Accomplice starts out tame enough for Maggie, as she is doing desk duty at the SOE (Special Operations Executive) while she waits for her half-sister Elise to be rescued from Ravensbruck Concentration Camp and smuggled out of Germany to London. After having served brilliantly in different war-time actions as a spy and code-breaker, including her stint as Churchill’s secretary and a trip to America with Churchill to encourage America’s entry into the war, the desk job is quite beneath Maggie's skill level. She also must endure an odious, under-qualified boss who doesn’t know her accomplishments and asks her to make him tea, with a “dear” attached at the end. As more women are deciding to take part in the war effort, the SOE is in charge of assessing their skills and suitability. London in its ravaged state after the Blitz has few accommodations for young ladies traveling to London for their interviews with the SOE, which often requires an overnight stay. Certain buildings are being used as temporary “hotels” for these transient women, offering only the bare bones of an acceptable place to sleep. When the ugly beast of a copy-cat Jack the Ripper begins to kill those temporary residents seeking SOE employment, MI-5 turns to Maggie to help their office and Scotland Yard investigate the horror. Maggie’s personal involvement with training some of the victims or knowing of their training in Scotland, where Maggie taught survival skills for a time, makes finding who comes to be tagged the “Blackout Beast” a matter close to her heart. She was once a hopeful young applicant, wanting to do her part in the war, and the fate of being butchered and left in the dark of a London park is beyond tragic to her. Not everyone is happy with women stepping up to the plate to help, and this would-be Jack the Ripper has obviously taken his displeasure to a murderous level of hatred and destruction. Of course, the Blackout Best isn’t the only one who doesn’t appreciate women leaving home to enter a “man’s” world. Sexism is another battle which Maggie is trying to fight in order to provide equal pay and protection for women “unofficially” serving their country. It’s a battle fraught with frustration and dismissal, and full of men who under-appreciate and undervalue how important women are to winning the war against Hitler. 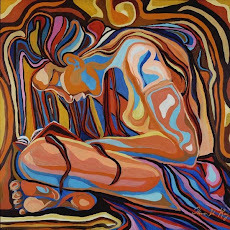 Denying women the same rights as men serving puts women and their families in danger, surviving and financial. Women who are being sent undercover to other countries, with France being highlighted in this story, need protection that they don’t yet have to return home safely. Maggie’s friend, Sandra is one such woman getting ready to leave for an assignment in France. One of the best aspects of The Queen’s Accomplice for me was the appearance of characters from the past, when Maggie moves back into her aunt’s house and has some familiar roommates, and the creation of new characters with whom Maggie’s very life could depend. Susan Elia MacNeal beautifully weaves in the old characters with the new, and gives the readers great dialogue as always. With the familiar faces of Chuck and Sandra, her old housemates, readers see the reinforcement of how women friends support one another. 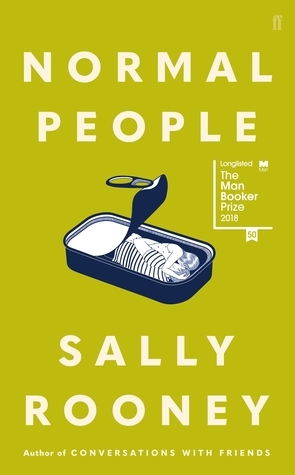 With new characters of Detective Chief Inspector James Durgin, the Scotland Yard officer with whom Maggie is working, and Vera, who proves that age doesn’t define a person’s usefulness, there is a growing community of those behind the scenes in a worn-torn London. I always feel that I am walking along with Maggie in the devastation and optimism, and it is the brilliant characters and deftly described setting that brings me there. And how does the Queen and Buckingham Palace fit into the layers of this story? Well, Maggie is a forever resourceful person, and the Queen is a mighty fine ally and resource to have. The main story is the “Blackout Beast” and his rampage on the young women wanting to join SOE, but the subplots involving Elise and her struggle to survive and Sandra’s impending trip to France come together to give a more complete picture of how the war is being fought on different fronts by different women in different ways. Susan Elia MacNeal is one of the best historical fiction writers around, and the addition of mystery and murder to her stories gives an added satisfaction that is hard to beat. It’s always hard for me to move on from a book by Susan because I know I’ve finished one of my favorite reads of the year, but she provides a wealth of additional reading material in her bibliography of sources, so that I can continue my connection. An advanced copy of this book was provided to me by the publisher for an honest review, which the above assuredly is.